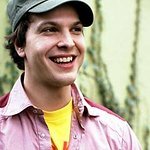 On Friday August 14th, Musicians on Call, a groundbreaking nonprofit organization that delivers the healing power of music through their unique bedside performances in hospitals across the country, launched their first program in Denver, CO with the help of longtime MOC supporter Gavin DeGraw. The program kicked off with a Virtual Bedside Performance at the Children’s Hospital Colorado, in collaboration with Seacrest Studios, where DeGraw performed several songs in the studio that was broadcast to the patients throughout the hospital via closed circuit TV. Not only does the Denver program mark the sixteenth city that Musicians On Call has expanded to but August marks the charity’s sixteenth year of spreading the healing power of music. DeGraw, who is currently on the “Rock This Country Tour” opening for Shania Twain, has been a longtime volunteer and supporter of MOC and has done two bedside performances at hospitals in New York City and Los Angeles so was the perfect choice to help the organization with this momentous occasion. Musicians On Call (MOC) was founded in 1999 at Memorial Sloan-Kettering Cancer Center in NYC by Michael Solomon and Vivek Tiwary, with the mission of bringing live and recorded music to the bedsides of patients in healthcare facilities ranging from children’s hospitals to adult facilities, VA hospitals and hospices. To date, its volunteers have played for nearly half a million people in New York, Los Angeles, Miami, Nashville, Philadelphia, Washington D.C., and Baltimore, with additional cities being continuously added. Musicians On Call continues its mission through room-to-room hospital performances by both local musicians and an esteemed list of national celebrities. MOC supporters over the years include Pharrell Williams, Bruce Springsteen, Ed Sheeran, Lady Antebellum, Darius Rucker, Jessie J, Justin Timberlake and Imagine Dragons.